Former Washington State Legislator and current internet business entrepreneur, Jesse Calvin Wineberry was born in 1955 in Sedro Woolley, Washington, and adopted by parents Peter and Mary Wineberry. Wineberry grew up in Seattle’s Central District and attended Queen Anne High School. He earned a degree in Business Administration in 1979 from the University of Washington, Seattle, and his Juris Doctorate from University of Puget Sound (UPS) Law School in 1986. Wineberry and his wife, Brenda, have two children, Jesse Jr. and Mia. After graduating from the University of Washington, Wineberry worked as a television news reporter for KSTW in Tacoma and then a special correspondent for the station’s news coverage of the White House and Capitol Hill. In 1982 he was appointed a Congressional Black Caucus Association-Congressional Fellow on the U.S. House of Representatives Subcommittee on Telecommunications, Consumer Protection, and Finance. While there Wineberry provided background information in the United States vs. AT&T lawsuit that ended the 75 year AT&T monopoly on telephone service and created competition in the field of long-distance and wireless communication. Wineberry returned to law school at UPS and co-founded the campus Black American Law Student Association. In 1984, while still a law student, he was elected to the Washington State House of Representatives. A member of the Democrat party, he served as representative for the 43rd legislative district from 1984 to 1992, and later as representative for the 37th district from 1992 to 1994. During his time in the state legislature he served as Majority Whip, Chairman of the House Committee on Trade, Technology & Economic Development, and senior ranking member of the House Judiciary and Ways & Means Committees. In 1992 he was a Super Delegate to the Democratic National Convention in New York City. During his time in the state legislature Wineberry focused on a number of issues, including tougher punishment for crime, prevention of juvenile crime, and job creation. Wineberry co-sponsored Washington’s “Three Strikes You’re Out” anti-violence measure, authored the Youthbuild Initiative of 1994 which targeted at-risk youth, and a Welfare Reform Bill. He sponsored the 1989 the Workplace Child Care Act and was a co-sponsor of the Tri-Cities Economic Diversification Act and the Washington Development Loan Fund. In the early 1990s Wineberry worked unsuccessfully to help rescue Emerald City Bank, which at the time was Washington’s only African American owned bank. Wineberry ran for United States Senate in 1994 and for Seattle City Council in 1995 but lost both races. In 1999, Wineberry founded a private internet company, BroadcastUrban, in Washington, D.C. which streams urban radio stations and events from around the country and reaches approximately six million listeners each month. BroadastUrban streamed Barack Obama’s inauguration in 2009 to over 21 million viewers. Wineberry remains CEO of the company which is expanding to include film production. 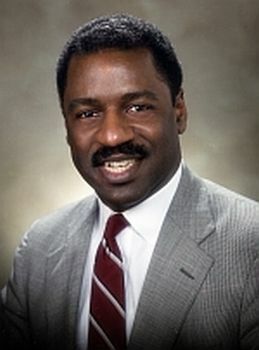 “Jesse Wineberry,” The Lawyer (Seattle University School of Law, Winter 1993); http://digitalcommons.law.seattleu.edu/thelawyer/12; "BLSA Honors Founding Members Hightower and Wineberry," Amicus Brief (Seattle University School of Law, 2010). (Seattle University School of Law, 2010).